April has flown by! We spent the month attending a homeschooling conference in Cincinnati, OH, presenting at Ontario Christian Gleaners' fundraising dinner in Cambridge, ON, and undergoing an interview with a missions committee in Baraboo, WI. We are thankful that our boys travel well, as we spent many hours in the car. Now, as we head into May, we are packing our bags again for a quick trip to Manitoba to attend and participate in a missions conference held at one of our sending churches (Winnipeg Evangelical Free Church). 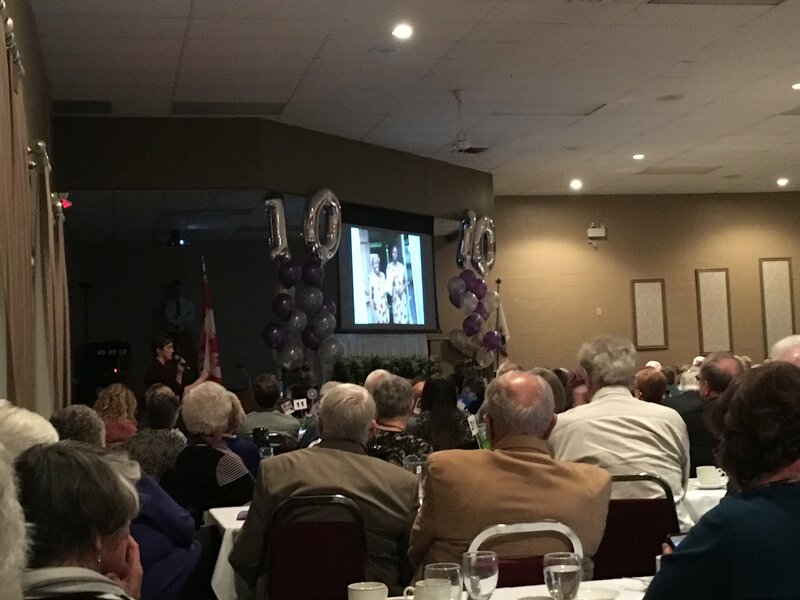 Candice speaking to a gathering of 400 at Ontario Christian Gleaners' fundraiser. On the home front we have exciting news! Our housemates, who have survived living with us in our home for the past eight months, have found a home of their own! They have achieved their goal of becoming first-time home owners, and close on their family’s first home this coming Thursday (May 3rd). We are very proud of their accomplishment. Although living together hasn’t always been easy, it certainly has been an enriching experience. I pray that all we’ve learned about living together in grace and humility will not be lost anytime soon.